Connections. Relationships. Your personal life is full of them. You have family, friends, co-workers, neighbours and kindred spirits with whom you spend time with. You eat together, socialize together, watch movies together and generally hang out. In other words, you have a relational network. So why do we in the digital marketing space often forget to focus on and build relationships? Far too often people in the SEO world want to “rank and bank” or “churn and burn” to make as much money as possible as soon as possible. With this type of mentality we use methods like private blog networks (pbns), paid link networks, etc. Nothing wrong with these types of methods if the game is to make a quick buck. However, that kind of game will cost you in the long run. SEO’s who neglect to build meaningful relationships—relationships where we add value to others rather than bleed them for all we can get—miss out on a huge opportunity to build a flourishing business. For instance, connecting with fellow bloggers and entrepreneurs—and affirming/promoting them—earns fantastic relational and professional capital. When you get links on private blog networks, often it is a “dead site” with no traffic. Unless of course you have some very high end domains that were probably never “dropped domains”. Then you are actually getting some referral traffic. So why do you want to get links from websites with real traffic? Well I’m glad I forced you to ask. One of the reasons I love building relationships with other website owners is because they care. They care about growing their online business, and promoting content that I write, which drives traffic to their website, gets posted on Twitter, Facebook, Pinterest, Instagram, Linked In, etc. In other words, developing relationships can and often does lead to the proverbial win-win. Think about what is more likely to drive sales—assuming you actually care about selling something rather than just rankings. What would you prefer? A legit guest post whose owner actively promotes your post on Facebook and Twitter? Or that pbn that you got for $69.00 from a dropped domain site? What site is going to benefit you more as far as link value in today’s algorithm? Many SEO’s – myself included – have focused too much on rankings and not enough on creating sales opportunities. Yes, we need to present proof positive rankings to our clients. But we also should be able to develop opportunities where the client can obtain a link that will help them rank, as well as revenue generating opportunities. Newsflash: People love making money! Traffic is an essential aspect of building links. Many of the people that I discuss SEO strategy with are pushing “The Three T’s” (Traffic, Theme and Trust) or ART (Authority, Relevance, and Traffic). When you are dealing with dead sites with no traffic you are missing an essential element to the three pillars in SEO currently, and it will take many more links to rank. I have been familiar with OutReach for securing guest posts, link round ups, etc for a while. Shoutout to Eric Ward and Ryan Stewart for helping me shape my style. I decided to focus on building relationships online because I wanted to be able to focus on each of the 3 pillars. Theme– For theme it’s super simple. I log-in to Majestic (obviously) and I look and see what kind of Topical Trust Flow the site has. This can help me determine if the site is “authoritative” or topical in my niche, as that theme will help give a larger push. If I was trying to push my SEO Site for SEO related terms, getting published on Majestic would benefit me immensely. 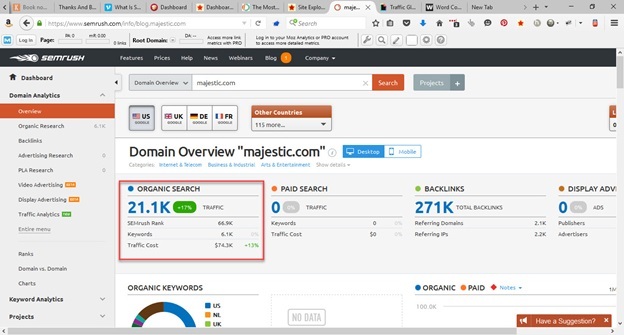 Majestic is topically related to the SEO niche and has TONS of backlinks from other related websites. Trust– I look at the Trust Flow metrics. Beyond that I also look into the sites that are linking to the site I am analyzing. I look to see if the theme carries down into other tiers. The further the theme carries down the better it will push. The Trust metrics that are on blog.majestic.com are huge because the sites that would link to this domain are typically in the internet marketing or SEO space. Think about it this way: One layer of chocolate cake or two? I’ll take two please. Google loves two layered chocolate cake as well. Is it scientific? Absolutely not, but I see it working in niches all across the board. Sites that have only a handful of links but the links they do have are super niche related and the sites that point to them are hyper-topical as well. Traffic– Sorry Majestic, I have to use SEMrush for this one. 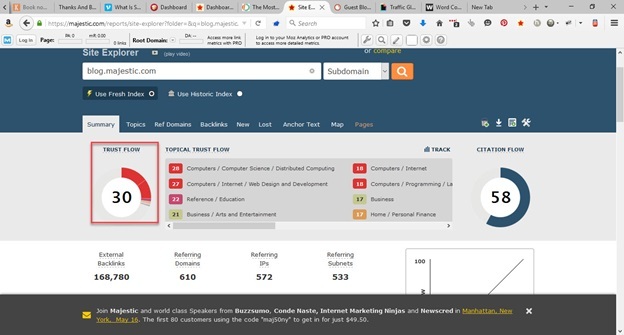 Check out my post “Why You Must Analyze Website Traffic Before Pitching” to learn how I use SEMRush to help identify sites worth pitching. I love using Clique Hunter. Nothing gives me more data about where the top sites in my niche are getting links from. Are my competitors ranking with guest posts? Fine. Build a list and I’ll pitch them. Are they ranking with link roundups? Cool, same deal. If it’s paid or other forms then I address that on a case by case basis. Let’s say that I wanted to compete with Ryan Stewart for “Miami SEO”. Ryan’s company ranks well on that term. I would go into clique Hunter and find out where the guys and gals that rank in the top 10 get their links from. If it’s from places like Majestic, SEMrush and Moz, well then I certainly have my work cut out for me. Using this data I would reach out to the companies that are listed here and see if I can land a guest post on their site as well. It really comes down to those three criteria I mentioned: Traffic, Theme And Trust. Trusted sites get traffic, they are typically (not always) dedicated to a vertical. In an effort to get greater results for clients we look at getting links on pages that are already powered up and indexed in Google. What are these mystical types of links you might ask? Resource pages. Resource pages are great as most people end up linking to these resource pages because they already rank well in Google. Most people only look at the first page of Google when doing a tiny bit of research on a topic. 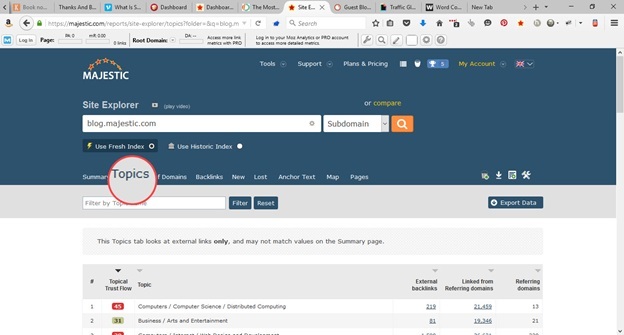 If your article that you created gets listed on a resource page, you will notice a bump over time in traffic and rankings. Also, that resource page you are listed on is going to continue picking up links, and as time goes by will continue passing trust to your article. I have seen a need in the marketplace for a legit outreach company. I get alarmed when I get emails saying, “Check out our guest posting services. We have built a large following of bloggers and websites,” or any other variation of it. I don’t know who they are, I don’t know if they have ever performed actual link building outreach campaigns,sans trying to drive sales with email outreach. I never hire those providers, mainly because the emails are written in such a way that fails to convey one of the big three: TRUST. I have yet to believe that they could pull off an actual white hat link building campaign that I would want to associate with my clients or my brand. I had been preaching to my buddy Stacy Wellington for months about how OutReach is really the way forward beyond and away from pbns and gray hat tactics. Stacy kept on dismissing me because he is successful and does things on his own terms. However, after about 6 months of me running a team of outreach experts, he started to see some opportunities in what I was doing. He brought his expertise of running a large staff and scaling up a service-based offering and I brought my outreach experience. Win-win. As a footnote, if you are wondering what makes me an expert in outreach, I have been featured in BlueHost, Forbes, Fortune, Entrepreneur, Fast Company, Business Insider and many more publications without paying for those links or features. If you want a pro tip on increasing your response rates via email outreach check out this post. Stacy and I have been running this staff of eight people for close to three months. We have 21 campaigns currently underway, and wow…is it ever challenging scaling up a business like this! We have faced every problem imaginable. Unrealistic clients (we probably failed to frame them correctly off the bat), unresponsive staff, managers that do not communicate well, software that freezes and breaks – you name it and we struggled through it launching our company GoReach. Running outreach for your own clients when you have a handful of them is relatively easy. You have a campaign manager running your link prospectors and another email person plus some writers and you are off to the races. But scaling something that can handle 50-100 simultaneous campaigns is another story. That is why there are so few “industry leaders” in this niche of guest posting and outreach services. It’s extremely hard to scale and keep quality high as well as delivering month after month. That’s one of the great things about performing difficult tasks: it keeps other competitors out. If it was easy everyone would do it! What we are building and trying to take our clients and campaigns into is niche related, topical and powerful. Some people call it Influencer Marketing, some people call it audience sharing. Others just call it marketing. Whatever you call it, OutReach is designed to help increase traffic, drive sales and rank higher on Google. I’m not here pitching you on GoReach. If you have the time and patience then by all means do it yourself. In fact, I recommend running a team yourself if you have the time, patience and the ability to manage multiple people. SUMMARY: At the end of the day OutReach is about creating value, and value is created by creating relationships that, in turn, drive traffic. So go ahead…reach out to me. I would love to hear from you. Stephen Twomey is the Founder of MasterMindSEO and Co-Founder of GoReach and now acts as an official brand ambassador of Majestic. 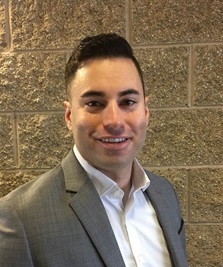 When he is not working on helping entrepreneurs build the business of their dreams, Stephen enjoys spending time with his wife Jane and 3 young sons. Stephen enjoys coaching soccer, lifting weights and doing comedy skits at his church. Hey team Majestic, Thanks for the free backlink checher tool. 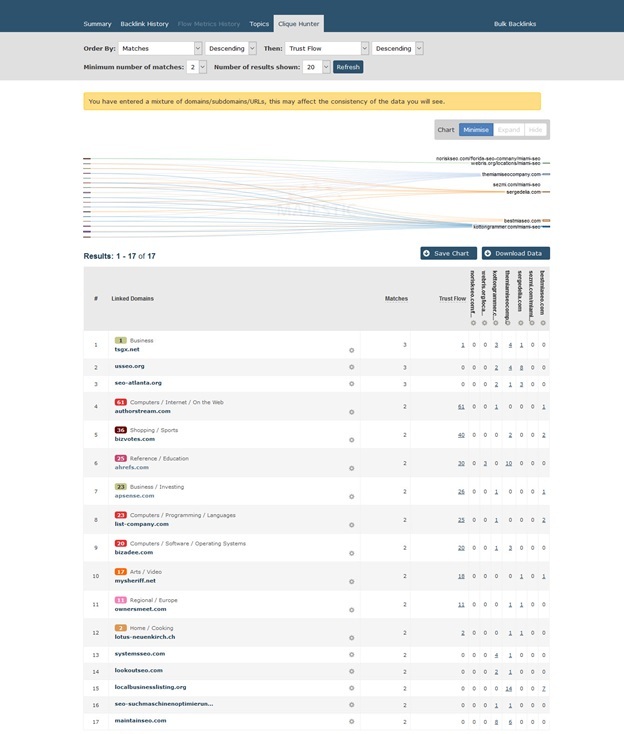 Well, this tool is amazing but it shows a very limited list of backlinks. Can you suggest me which plan i should use if i want to check backlinks of almost 20 sites???? I want to build 50,000 high PR quality backlink for my site. Please suggest me best plan for my site. The lowest paid plan should suit your needs. 20 sites is not a lot to check. 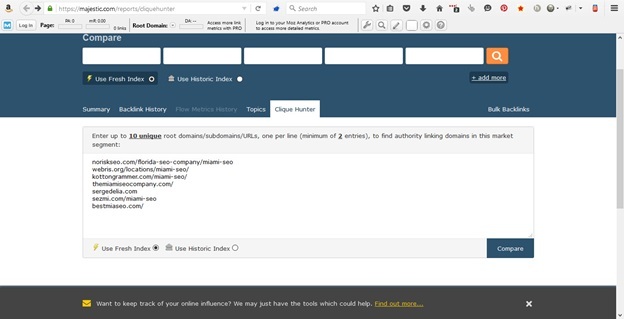 Use the Clique hunter tool to find decent link intersects. If you need more of a steer, sign up for the free 1-1 demo session.